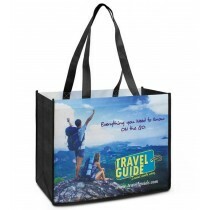 Buy non-woven bags online from a huge selection, which we will deliver to you with your logo or branding expertly printed onto it. 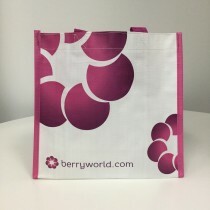 They’re great looking bags and are essential if you are seeking to stand out from the crowd, or just like your guest to reuse a product beautifully printed with your logo. 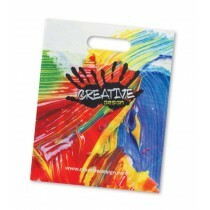 Our printed non-woven bags are popular amongst businesses and events around Australia. What is Non Woven Fabric Made From? 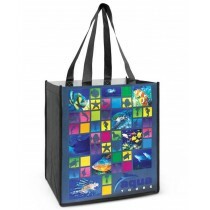 The material that we commonly used to describe these bags is called non woven fabric. This fabric is unique, in that it is a 100% synthetic product that has characteristics similar to plastic. This in part is due to the fact that it is actually made from plastic, which undergoes a chemical process to change the substance into long flexible fibers, which are then bonded together. The result is a material that is strong, excellent in absorbing vibrant colours and cheap. 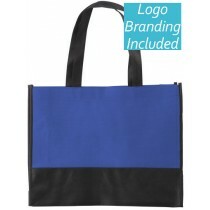 This makes it a perfect item as a promotional bag. 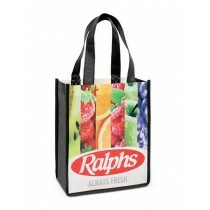 The eco friendliness of a non woven bag stems from the fact that it can be re-used. Bags made from non woven material have all the properties which make consumers want to reuse them including: relative crease resistance, durability when carrying heavy items, edges do not fray over time, and can be cleaned easily. 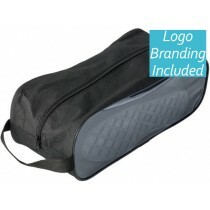 Non woven bags are possibly the most versatile style of bag in the world. 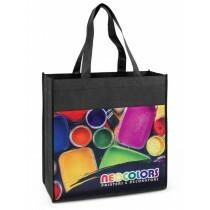 They can be easily used in any event or occasion including: conferences, tradeshows, exhibitions, retail bags, shopping bags, orientation day bags, everyday bags, and much more. The non-woven material is not 100% waterproof or water resistance. If you put it under water, it will get wet. However, it is splash proof. That is, the water will not penetrate into the non-woven material in a splash. Therefore, these non-woven bags are not designed to be used in wet environments or under water, but they are extremely good for everyday use. 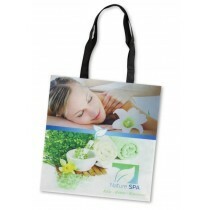 Non-woven bags are very easy to care, as they don’t get dirty easily. If they do, you can wipe them with a damp cloth or simply hand wash them in soapy water and dry in the shade.